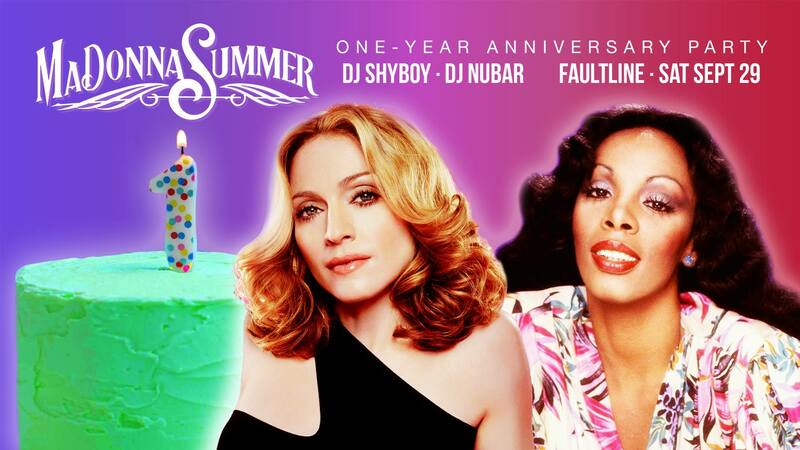 Dim all the lights and get into the groove with MaDonna Summer, a tribute to the music of Madonna and Donna Summer, celebrating one-year at the Faultline with DJs ShyBoy and Nubar! Material Girls and Bad Girls unite! ⭐ MaDonna Summer DJs ShyBoy & Nubar will be spinning tracks by the Queen of Pop and the Queen of Disco all night!